Imagine you decided to have a party with your friends and nobody has speakers loud enough to put the music on. What kind of party is that without music? Fortunately, today you can find many apps to sync music on multiple phones and amplify the volume, you just need your friends for it. Streaming music to multiple devices simultaneously you can enjoy the loud sound wherever you are. Music sync apps can help you in different situations. If you have several devices you can collect all your tracks in one place. With a large variety of services, such as Apple Music, SoundCloud, Deezer, Spotify and so on, it’s much more convenient to have everything in one app. 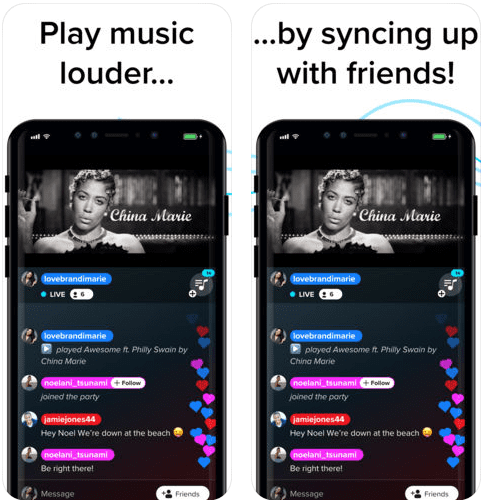 Some of them go on different platforms, both for Android and iOS so you can share the sound with your friends even if you have different device preferences. 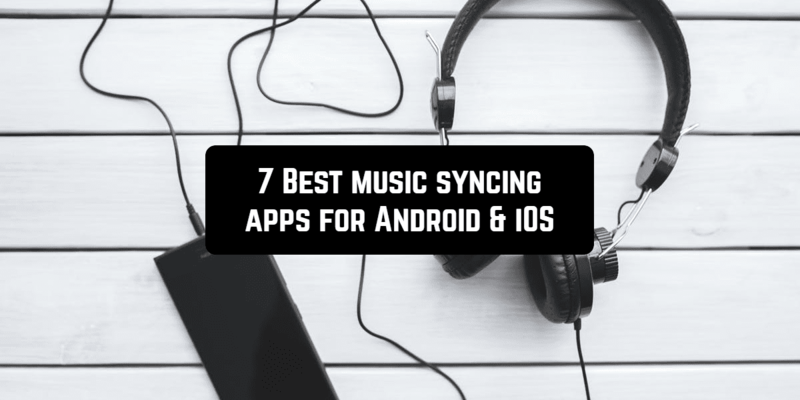 So, let’s take a look at the best music syncing apps for any situation. 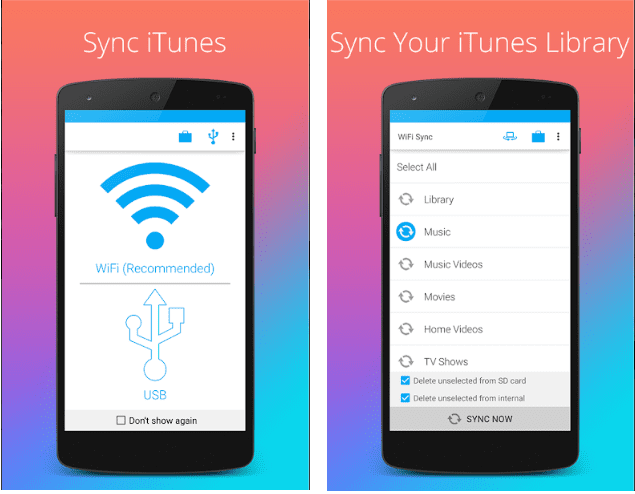 AmpMe is probably the best free app to sync your music on different devices. It goes both on Android and iOS devices. The app allows you to stream the music and video from your music library or from YouTube, Spotify, SoundCloud. You can sync your music up to your friends nearby or who are far away from you, or to strangers across the globe. You can start your own Live Party and any person can join it. Being a DJ, you control what your friends are listening to and they can suggest their tracks. What is more, the app allows streaming music to Bluetooth speakers as well. 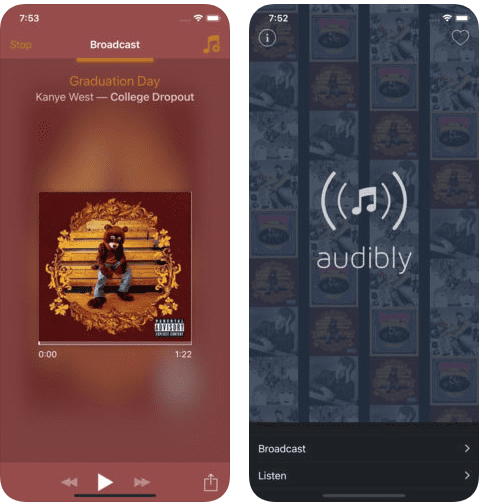 The app works especially well with streaming services, you may have troubles with streaming music from your music library on some devices, though. 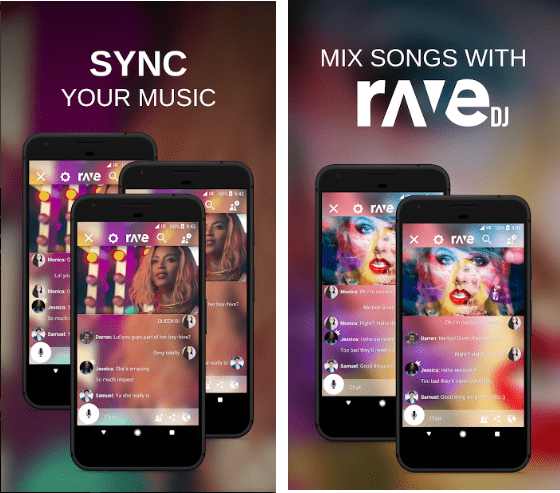 Rave is another cross-platform app to enjoy music together with your friends and other people from all around the world. With this app, you can easily turn your devices into a portable instant speaker system. You can share tracks from your library or from different streaming services, including YouTube. You can mix the tracks and people will be able to enjoy your own sound everywhere. It is necessary to note that Rave is created to stream videos. You can watch TV series from Netflix or videos from YouTube with other people even if they are not nearby. Nevertheless, the app is perfect for sharing music, too. You can text and talk to your friends while you are listening or watching, so you can always stay in touch and feel each other around. 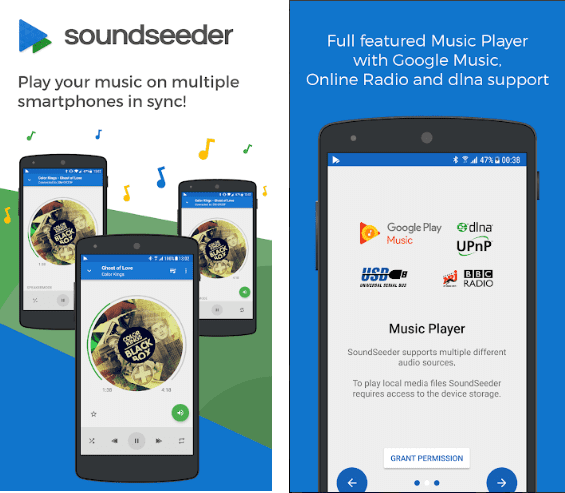 This app is quite simple and provides the opportunity to sync the music on multiple devices. You don’t even need the Internet connection – the app works via Wi-Fi which makes it perfect for home parties. You can stream music from different services including more than 25 000 radio stations. You can control the volume and playback of all the devices remotely. The app goes on Android, but you can also put it on your PC with Windows or Linux. The free version limits sharing to 2 devices and allows streaming only for 15 minutes. If you upgrade the app, you will get unlimited access to all the functions. Before upgrading we recommend to check what devices SoundSeeder works on. This app is good for those who want to amplify the sound on iOS devices. It is also created to connect nearby devices, it doesn’t require the Internet connection and allows streaming music over the Wi-Fi network. Audibly streams music from your Music Library on several devices simultaneously. The app is simple and lightweight, you can control the volume of music on multiple devices remotely. Pay attention, that you can broadcast your music only from iPhones, iPads can only connect and play music. For the better experience, the app provides several filters to change the sound. This app also allows syncing your music and not only music across multiple devices. Its advantage is that it supports a wide range of devices and services, you can find the app both for iOS and Android. 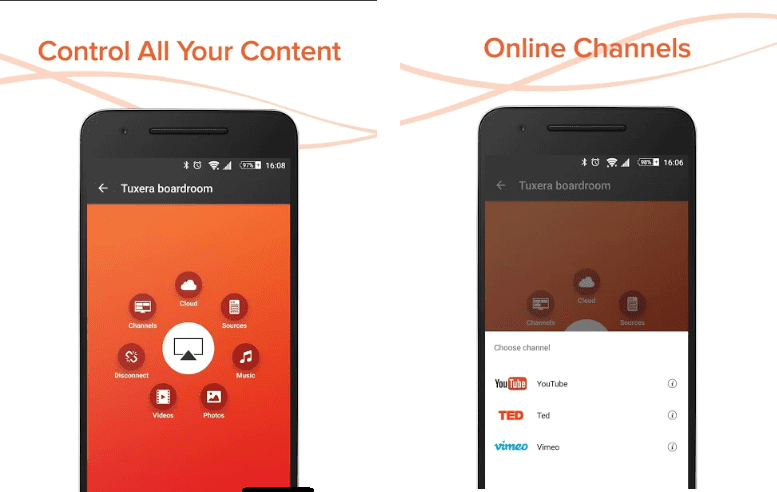 With this app, you can stream any media on as many devices as you want, screens or speakers. It will be perfect if you want to combine several features on one device. Note: the app is good for Android devices as it provides all the function working stable. As for iOS gadgets, the app is not so popular for iOS users. This app is different from others listed. If you decided to change devices but do not want to miss the advantages of iOS, you can use this app. Or you can use music libraries of your friends even if you use different platforms. It is the best Android app for iTunes. Who said you should choose only one thing? It allows syncing iTunes to your Android device and back. You can connect to several iTunes libraries at the same time. The app allows creating playlists with very convenient music player and export these playlists. You can sync using Wi-Fi or USB. This app is for iOS users who don’t like listening to music alone. You can share your playlists with thousands of people all around the world, exchange opinions on different pieces of music. 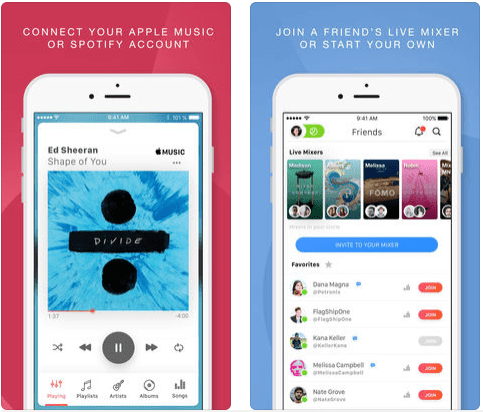 You can sync with different music services, such as Spotify or Apple Music. With Vertigo Music you can’t play music on multiple devices simultaneously, but you still can sync up to others and experience different kinds of music. It is a social network, so you need to sign up. With these apps, you can experience a new level of listening to music. Stay connected and don’t miss any moment, remember: music unites people and creates wonderful memories.